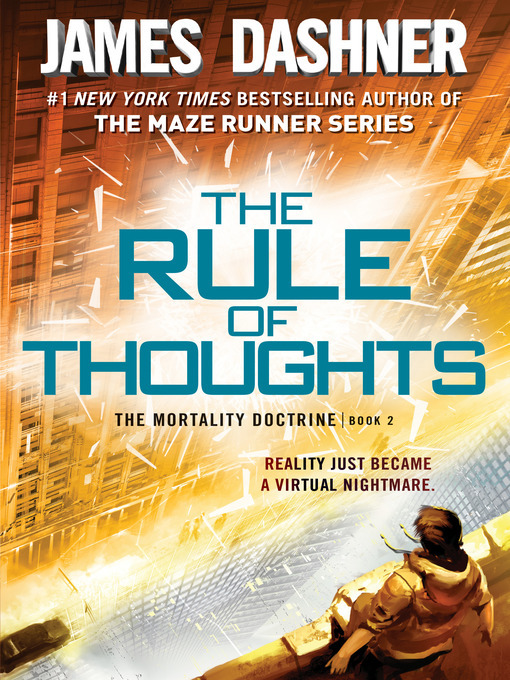 Reality just became a virtual nightmare in book two of the bestselling Mortality Doctrine series, the next phenomenon from the author of the Maze Runner series, James Dashner. Includes a sneak peek of The Fever Code, the highly-anticipated conclusion to the Maze Runner series—the novel that finally reveals how the maze was built! Michael thought he understood the VirtNet, but the truth he discovered is more terrifying than anyone at VirtNet Security could have anticipated. The cyber terrorist Kaine isn't human. It's a Tangent, a computer program that has become sentient. And Michael just completed the first step in turning Kaine's master plan, the Mortality Doctrine, into a reality. The Mortality Doctrine will populate Earth entirely with human bodies harboring Tangent minds. The VNS would like to pretend the world is perfectly safe, but Michael and his friends know that the takeover has already begun. And if they don't stop Kaine soon, it will be game over for humanity. The author who brought you the #1 New York Times bestselling MAZE RUNNER series and two #1 movies—The Maze Runner and The Scorch Trials—now brings you an electrifying cyber-adventure trilogy that takes you into a world of hyperadvanced technology, cyber terrorists, and gaming beyond your wildest dreams . . . and your worst nightmares.